Ever since I moved to my current home (affectionately known as The Cabbage) and inherited the gardens here, I have been increasingly aware of how much nature has to teach me about art. I have also learned by studying artists like Claude Monet that art can teach me a lot about nature. What I may not have fully appreciated before I encountered Maria Waye and her art on Instagram, however, was just how much nature and art combined can teach me about myself and other people. 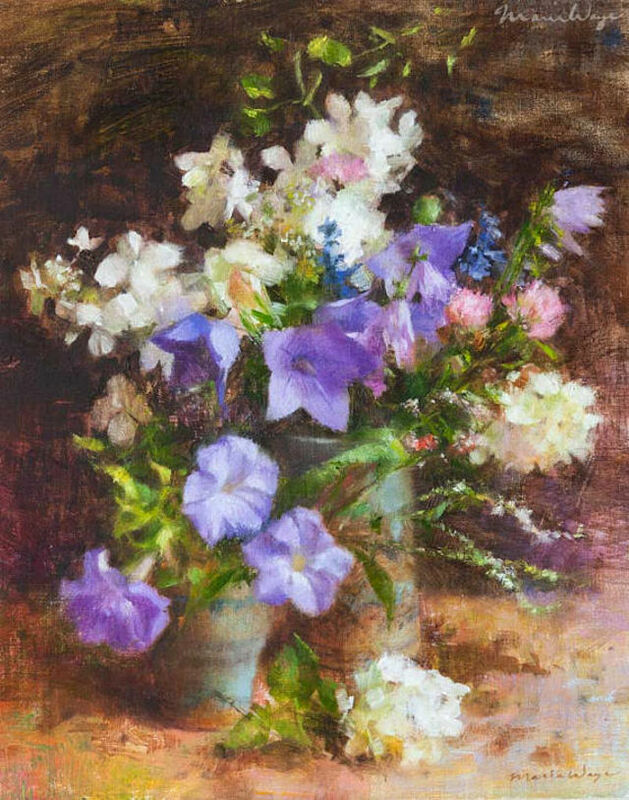 Maria and her paintings have not only helped to further my appreciation of the beauty in every type of flower but they also continually challenge me to recognize the beauty in every type of person, including myself. I hope experiencing her art and words below will do the same for you. Enjoy! 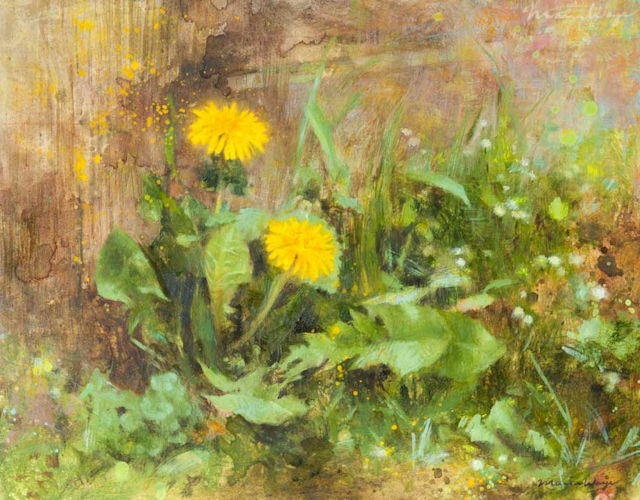 Maria: If you're a fiercely independent spirit, you may understand my admiration for dandelions. This painting is part of my "Being Courageous" collection. Maria: Joyful art to delight gentle souls. Maria: I love the elegance of "Midsummer Blooms", part of my "Being Unique" collection. Maria: Mother Nature is my favorite artist. Every tree, bird and rock, seem to be an exquisite sculpture, beautifully lit by ever changing light. 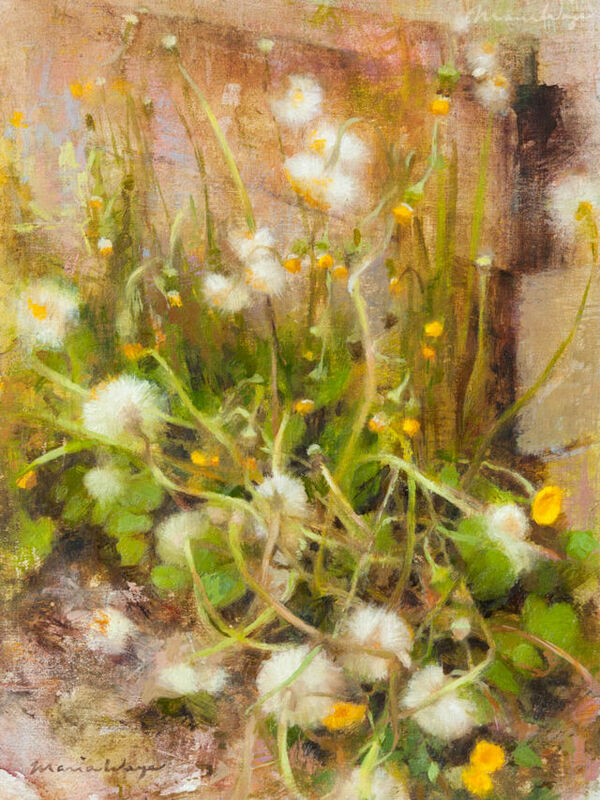 Maria: Spring is here when you see wildflowers such as coltsfoot. 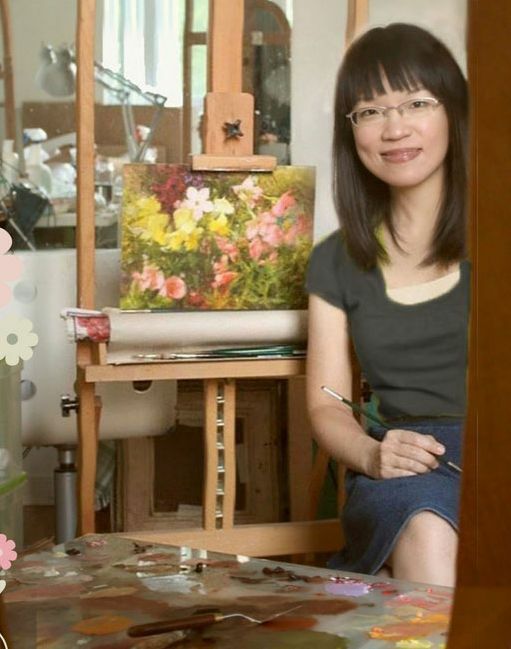 Maria: I'm especially inspired to paint flowers and plants. I love their different shapes, forms and temperaments. Each is lovely in its own way. I hope my art helps us to cherish our own uniqueness, to see ourselves with the same awe, appreciation and love with which we view different flowers. 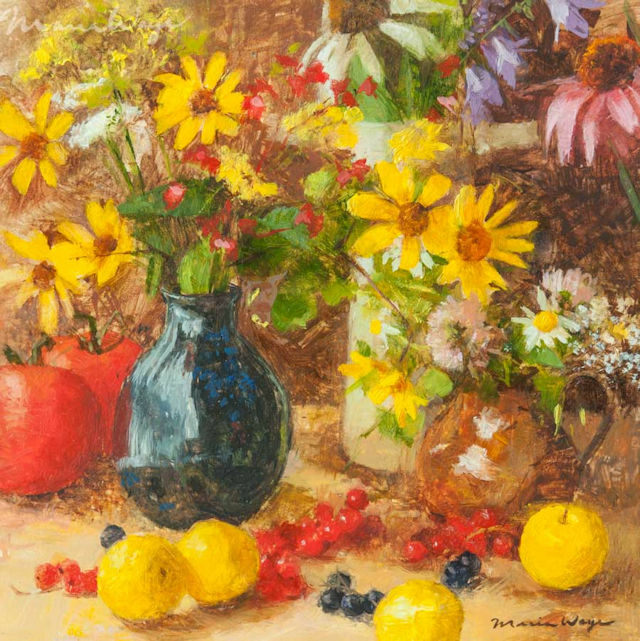 Maria: When you're in a contemplative mood, you may enjoy this still life. 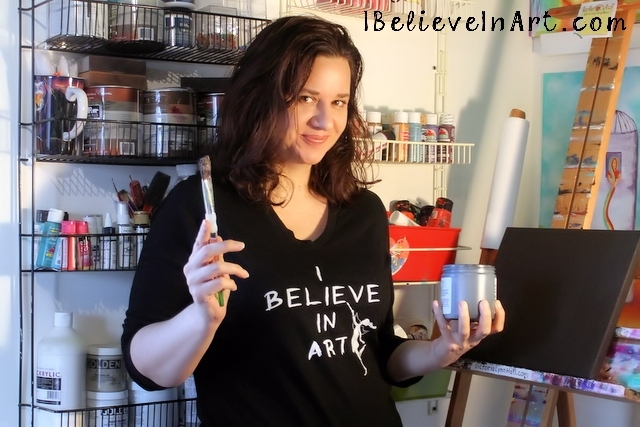 Maria: I love the excitement of starting a new piece, and enjoying it so much that I don't realize hours have passed. 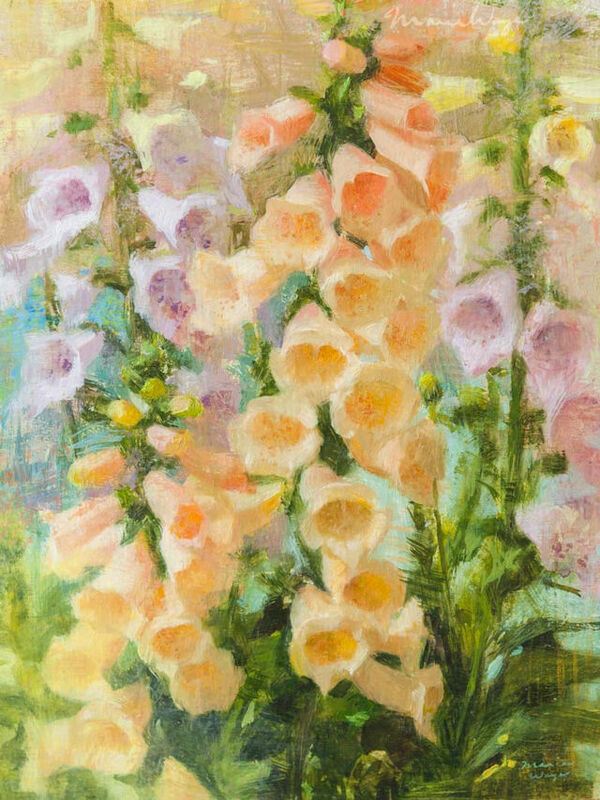 Maria: Let these joyful foxgloves bring you magic, fascination and delight. Maria: With so many ideas in my head, there's never enough time for art. I must make painting a priority. 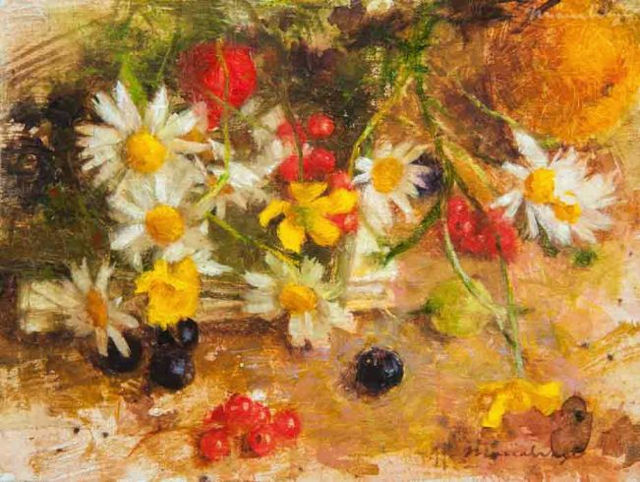 Maria: I became obsessed with these flowers during a vacation by the lake, where they bloomed cheerfully in abundance. 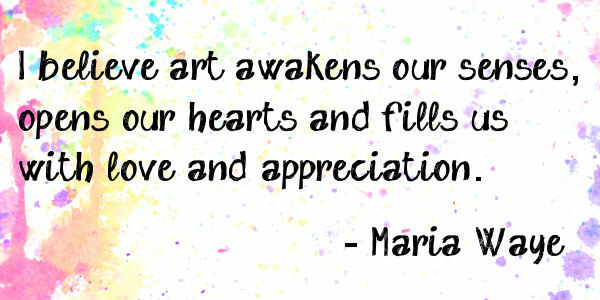 Maria: I believe art awakens our senses, opens our hearts and fills us with love and appreciation, for all living things and nature. When we're filled with so much love, we're kinder, happier and more connected. Thank you Maria for sharing your art, enthusiasm and point of view with us. 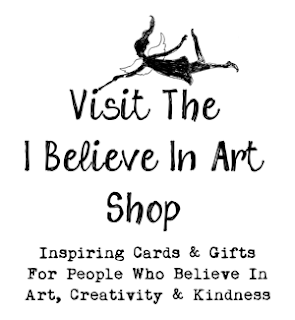 For more about Maria and her art visit her website at MariaWaye.com and be sure to connect with her on Instagram and/or Facebook. Thank you for including me, Victoria! You have a great blog. I like your positive energy. I enjoyed reading all the artist interviews, especially yours. My pleasure, Maria. And thanks so much for your support and encouragement. Happy creating. 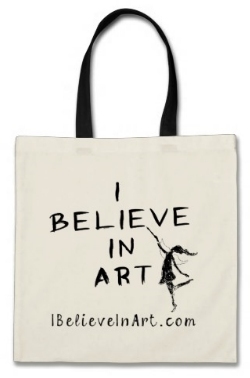 I love how Maria describes art. Her words are as beautiful as her paintings! Happy creating.